This wireless microphone system is fitted with powerful UFH-modules that provide a quality signal reception at long distances (up to 80 ft). Moreover, there is a very low risk of interference even if there are lots of other wireless devices nearby. The quality of cables in a set leaves much to be desired. This professional system consists of 2 wireless microphones and a receiver, hence, it is perfect for use with expensive acoustic equipment. 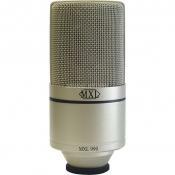 And thanks to the ability to connect the 3rd microphone, you will be able to sing your favorite tracks by a large company. 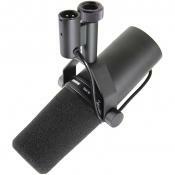 The set of the KaraoKing mic includes not only a handy carrying case but also a cell phone holder. 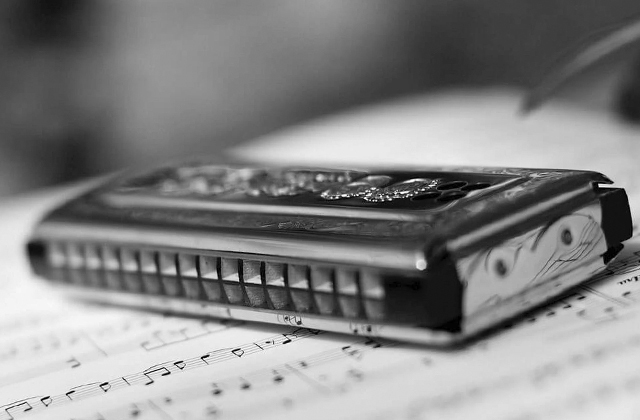 Put your smartphone in it and you will be able to easily read the lyrics of the song you're performing. And a LED disco light will create a festive atmosphere. The capacity of a built-in battery is rather low. 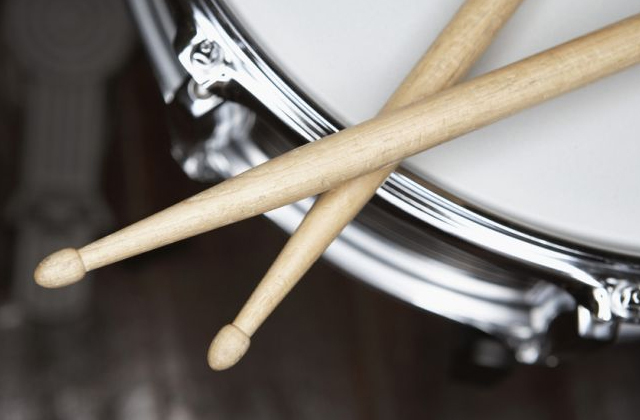 What makes this model stand out is the simplicity of setting up and convenience of use. Just connect it to your phone, select your favorite song and the mic will play it via the built-in speaker. 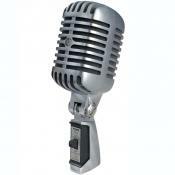 All you have to do is take the microphone and sing. The unit is fitted with three layers of filter head, thanks to which the sound will be clear and crisp. 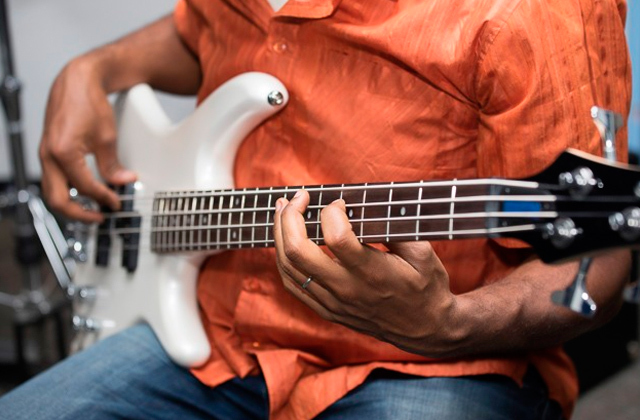 What is more, this design solution minimizes the appearance of odd noise and interference which might negatively affect the quality of the sound. The coating wears off after a while. 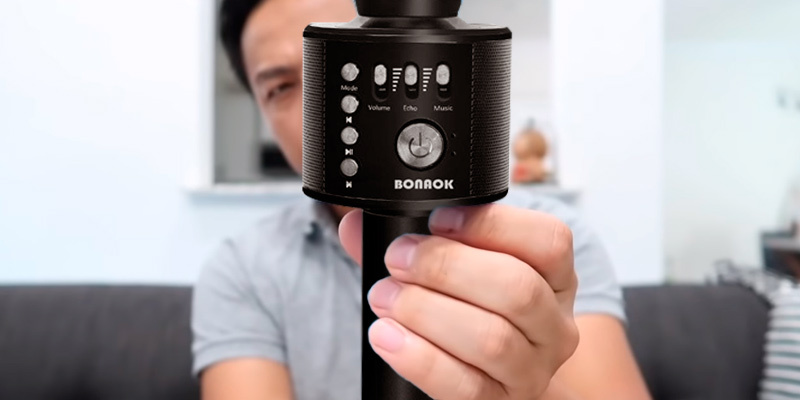 Affordable yet practical mic from BONAOK gives you an opportunity to sing wherever and whenever you want. 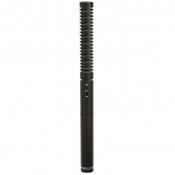 It has a compact size and light weight, so you can take it with you to any party. 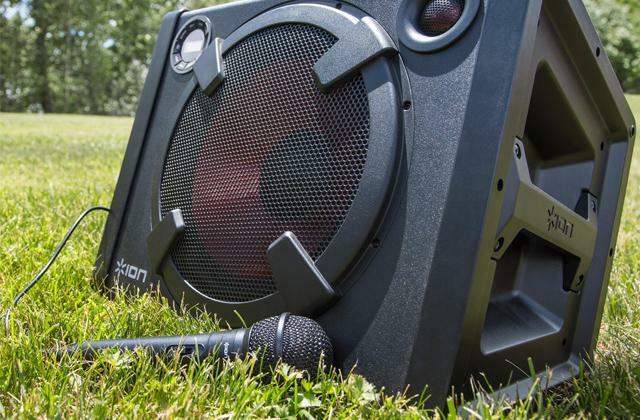 And though it's small, it's fairly loud thanks to a high-quality built-in speaker. The high-capacity battery ensures up to 30 hours of autonomous work. This extended operation time is especially important if you plan to use the device on the max volume for a long time. Also, it's very handy if you want to use the mic as a Bluetooth speaker. 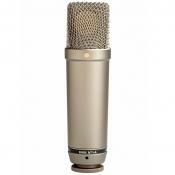 Fitting a microphone into a carrying case may be a bit challenging. 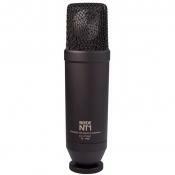 If you are looking for a functional model that allows you not only to sing but also record your favorite songs, this microphone will suit you. Install any karaoke app on your smartphone, connect the mic, and your own little record studio is ready. 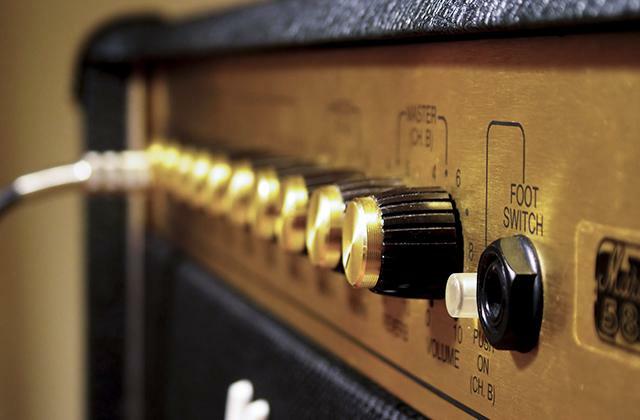 A receiver can be connected to any kind of audio device or audio system since it has a standard 1/4" audio out with 1/8" audio adapter. Plus, it has built-in Bluetooth to transmit either the voice to speakers from the mic or the music from your mobile gadget. The set lacks batteries (you have to purchase them separately). 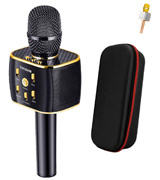 This wireless microphone works not only on UHF but also on FM range, so it can be connected to your car receiver to produce the sound via built-in speakers, which makes it a great option during bus/car tours or trips. The Fifine K036 is a high-quality dual-channel karaoke system for home entertainment that will definitely bring you lots of joy and fun. 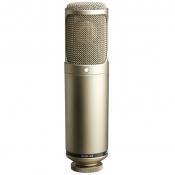 The great thing about this microphone is that it allows you to move freely while singing due to the extra-long operation range. Unlike many of its rivals, it doesn’t have Bluetooth - it's fitted with a UFH module instead. Thanks to that, you can have a high-quality signal reception across long distances up to 80 feet. Also, a UFH module minimizes the chances of interference with other wireless devices nearby. 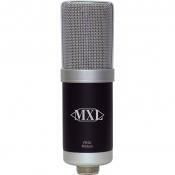 Now, let’s touch upon the topic of extras you get with this marvelous mic. 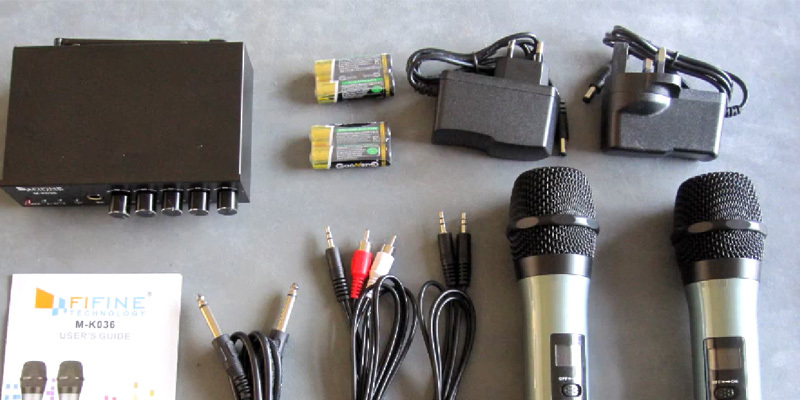 On buying the Fifine K036 wireless microphone system, you get 2 wireless karaoke microphones, a receiver and all the necessary connecting cables. However, we wish that their quality would be a little higher, so bear in mind that you might need to replace them after a while. On the positive side, the receiver allows you to connect the third microphone, so you will be able to sing your favorite music tracks by a huge company. 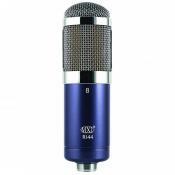 The last but not the least thing worth mentioning is that you'll be able to use this professional mic system with advanced acoustic equipment. All in all, the Fifine K036 is an advanced wireless microphone system that will allow you and your friends perform your favorite music tracks anytime, anywhere. It will provide you with high-quality clear sound, so you and your guests could enjoy singing and get the best party experience ever. A good mic should not only provide you with decent sound but also be convenient to use, and that’s exactly what the KaraoKing E106 offers you. 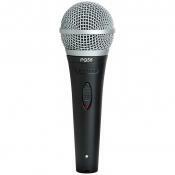 The unit is equipped with a built-in speaker, so you can be sure that your voice will be loud and clear. This wireless microphone works on a rechargeable battery, however, some users point out that its capacity is not really high. 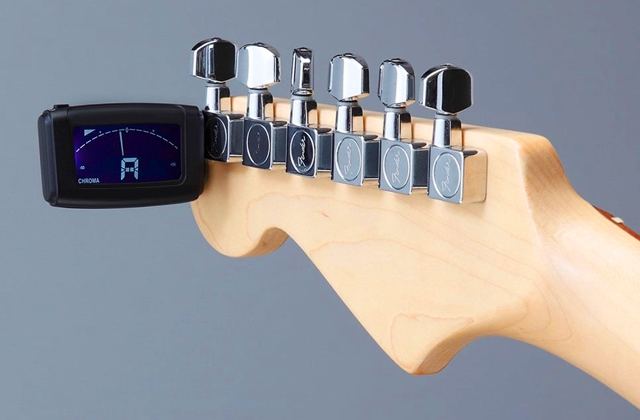 So, this particular model may not be suitable for long performances. But for small pool or neighborhood parties, it'll be more than enough. 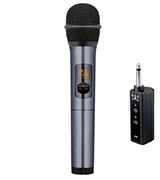 The microphone boasts wireless connectivity via Bluetooth 3.0 and allows you to go away from the connected speaker or karaoke machine up to 33 feet away. Plus, if you have a smart TV, you get the ability to sing directly from any YouTube karaoke video. The setup process will be a breeze. 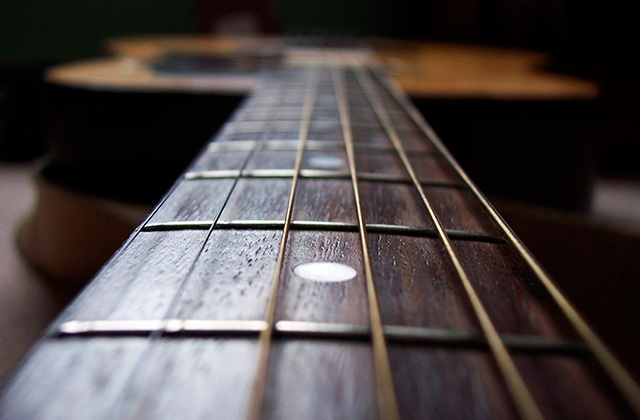 Just connect it to your phone, select a preferable track, and sing! Besides that, the unit boasts a very convenient design. It's fitted with a sturdy carrying case that makes its storage or transportation easy and safe. The set is also completed with a cell phone holder, thus, you can put your smartphone in it to read the lyrics of the song you're performing. On top of that, the package includes a LED disco light that will create a festive atmosphere wherever you are. So, if you are looking for a very ergonomic and easy-to-use device that comes with some useful extras, the KaraoKing E106 might be the best match. 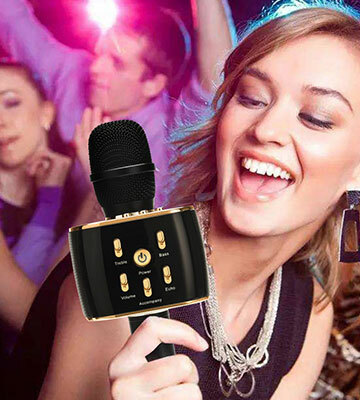 The BONAOK Wireless Karaoke Microphone is a great deal for amateur singers who want to enjoy performing their favorite music tracks. 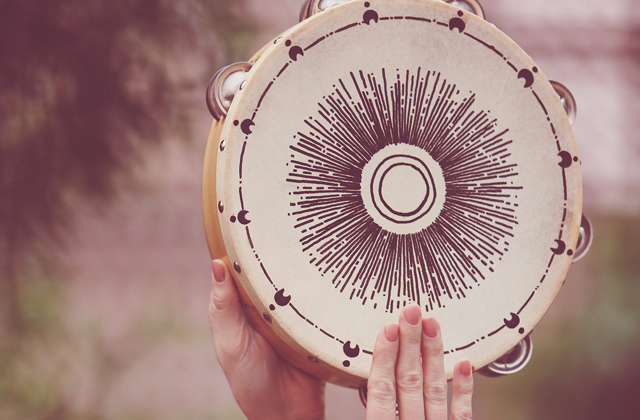 The major selling point of this portable device is that it boasts as many as three layers of a filter head, which results in a high-quality sound. 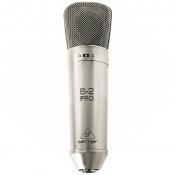 It minimizes the secondary noise and distortion which negatively affect the quality of a sound. 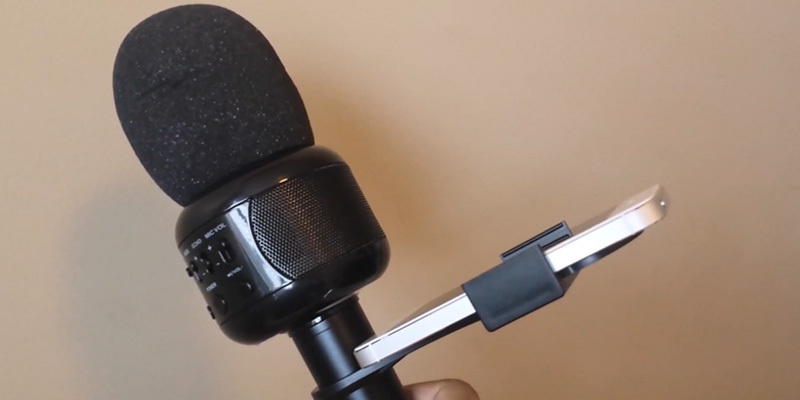 Another advantage of this microphone is that it supports both wired and Bluetooth connectivity. 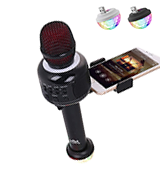 You can connect it to the karaoke machine via a cable or use wireless connectivity for pairing with your iPhone, iPad, as well as any Android or Windows phone. The other great thing about this model is that it features a slot for microSD card, so you can put a memory card into the device, and play them right via the built-in speaker. 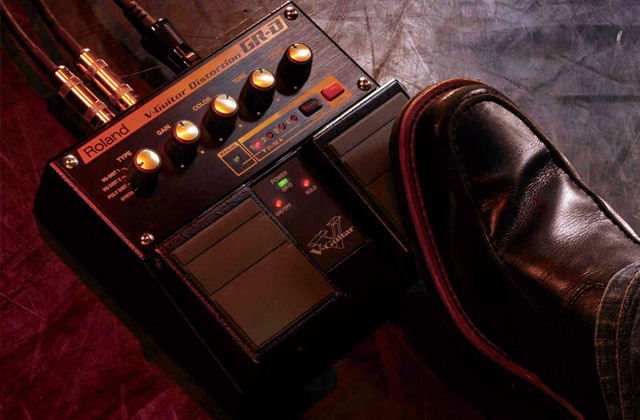 To change the tracks, you simply need to push the buttons on the control panel which is conveniently situated right at your fingertips (the buttons for echo and volume controls are situated there as well). 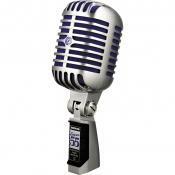 What we also like about the BONAOK Microphone is that it comes in different colors. 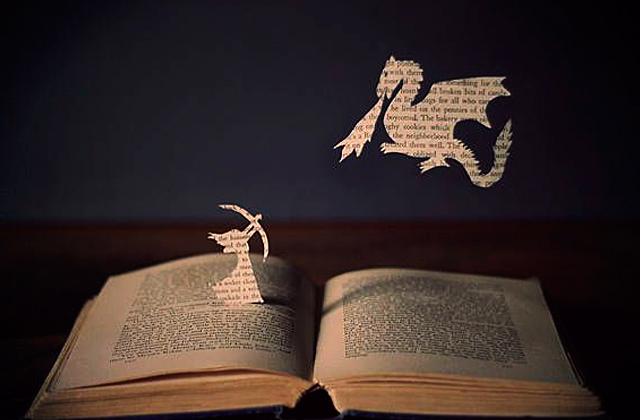 Hence, you can choose the one for your preference. The only problem you may face is that the coating might wear off quite fast. But if you maintain it properly, the device won't lose its appealing look for quite a long while. 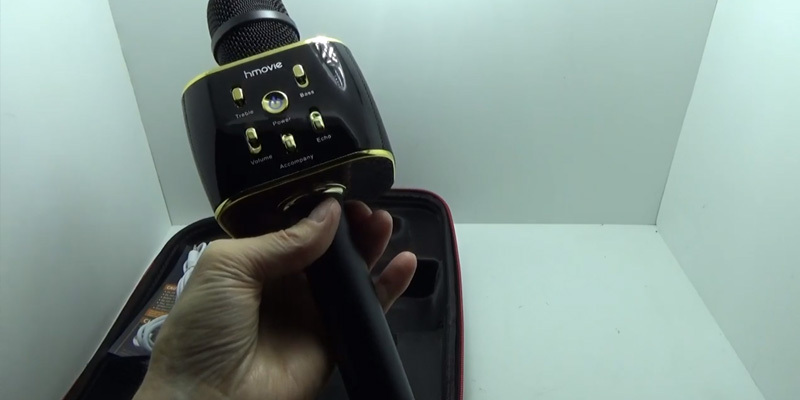 To wrap things up, this wireless karaoke microphone from BONAOK is a very versatile device that is able to fit the needs and budgets of most customers. 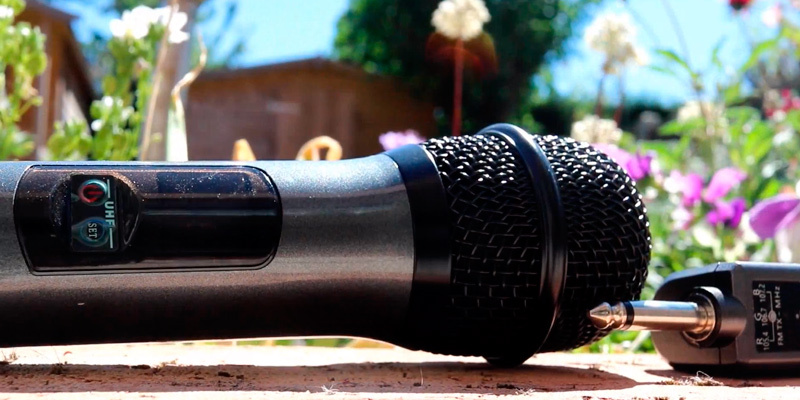 This wireless microphone from hmovie is a functional model that doesn’t lose any points to its more expensive rivals in terms of performance. First things first, naturally this model can be connected to your phone via Bluetooth 4.2. Yet, it's also suitable for use with your computer or laptop (granted that it has special karaoke software installed). If you choose wireless connectivity, the device will offer you coverage of up to 50 feet. 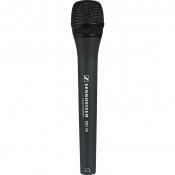 But the main highlight of this cordless mic is that it uses a battery with an impressive capacity. The built-in battery ensures up to 30 hours of autonomous work. This long runtime is especially important if you plan to use the device on the max volume for a long time. Thanks to the long-lasting battery, you can also use the mic as a speaker for quite a long while. 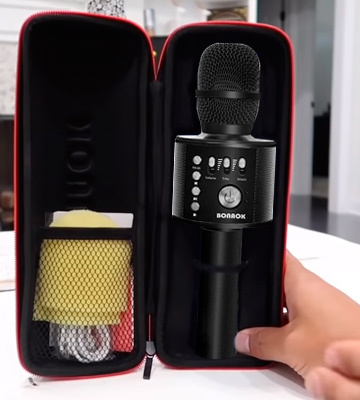 Speaking about the set, it includes a carrying case for convenient transportation, though a lot of users note that it is quite hard to fit the mic in it. So keep in mind, you won’t be able to quickly pack the device if you are in hurry. However, we consider that as a minor gripe. It still does its main job flawlessly and lasts so long that you might even forget where the charging cable is. Plus, this model won’t cost you an arm and a leg. 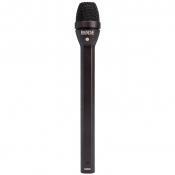 The Kithouse K380F is a decent set that includes a wireless karaoke microphone and a receiver. 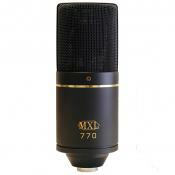 The mic can be connected to any speakers, mixer, amplifier, or audio system since it's designed with standard 1/4" audio out with 1/8" audio adapter. 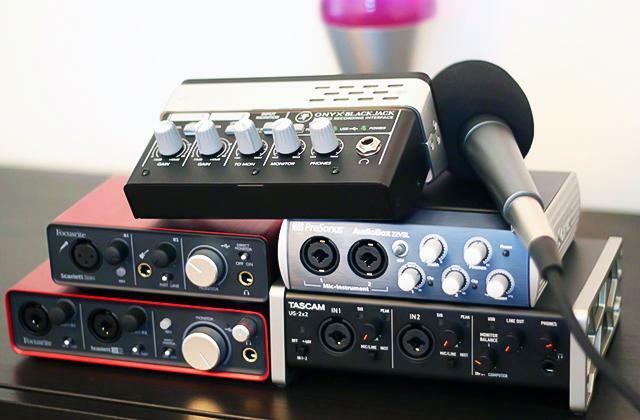 To be even more versatile, the mic works not only on UHF but also on FM range, so it can be connected to your car receiver and produce the sound on your car's built-in speakers. This option can become incredibly handy during the city bus tour or, for example, during a long car ride when you want to entertain your big family. The receiver can be powered by a USB cable (included) or a "18650" battery, while the mic works on 2 standard AA batteries. 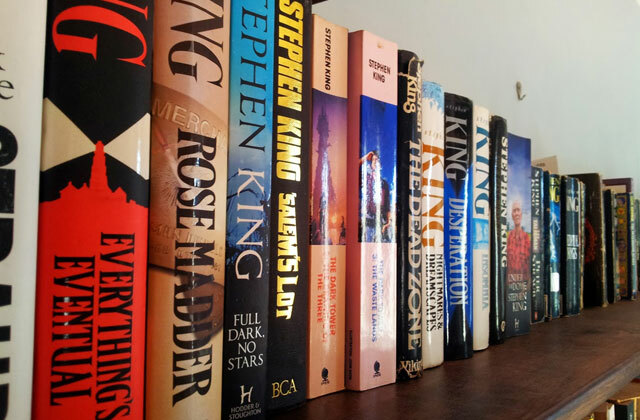 But, unfortunately, none of them are included in a set, so you’ll need to buy them separately. 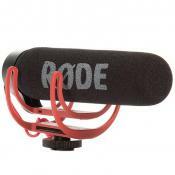 As far as design is concerned, this handheld wireless microphone is very sleek-looking. 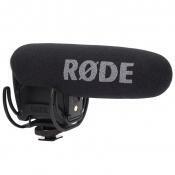 And what is notable, unlike many other mics, this mini device doesn’t have any panels with buttons. 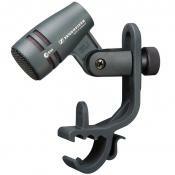 All the necessary controls are situated directly on the body, which makes this model ergonomic and easy to grip. 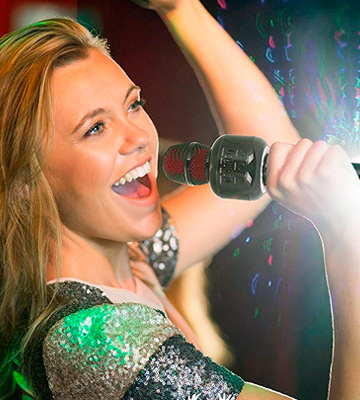 All things considered, if you need a cordless mic that can suit you in many occasions, the Kithouse K380F karaoke microphone is what you're looking for. 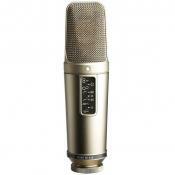 This kit of a mic and amplifier will provide you with quality sound wherever and whenever you need it. 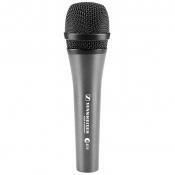 What Is a Wireless Karaoke Microphone? 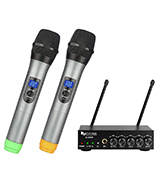 If you don’t feel like going to the overcrowded karaoke bars and wait for your turn to sing your favorite song but still desire to perform or practice your skills, you may want to purchase a wireless karaoke microphone. This device will allow you to perform your favorite tracks in the comfort of your own home either solo or with friends and family. 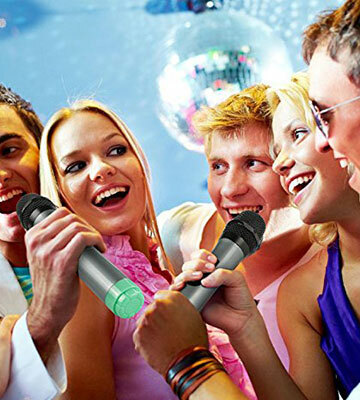 The main job of karaoke microphone is the same as of the ordinary one: it needs to convey your voice into relaying acoustics and lower the secondary noise and distortion as much as possible. But the main advantage of this device is, of course, wireless connectivity. The last thing you want to worry about is how not to mess with wires while singing. 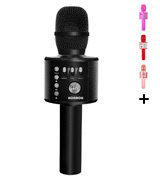 A wireless karaoke microphone is designed with Bluetooth technology and can be connected to your smartphone with a pre-installed karaoke app. 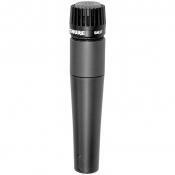 Lots of wireless karaoke microphones usually come with built-in speakers. 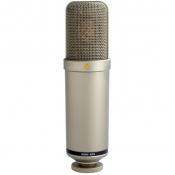 Moreover, some high-end models are also compatible with professional audio systems. 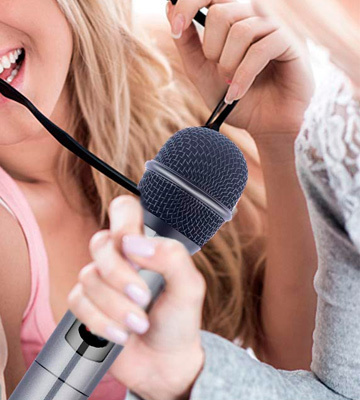 No matter whether you are an amateur karaoke singer or just want your guests to have a good time during your parties, pick one of the models we ranked and give it a shot. 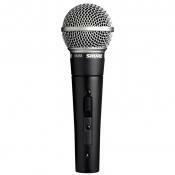 And if you're really serious about karaoke, you may want to check out the selection of the best karaoke machines.